The Fall Meetings – 2018 is the second annual public event of the German-Russian Exchange in St. Petersburg dedicated to the current European problems, similar to the regular public Fall Conversations in Berlin, organized by the German-Russian Exchange since the recent 20 years (https://www.austausch.org/herbstgespraeche.html). This entry was posted in Yleinen on 27.9.2018 by Olga Dovbysh. Russian Media Lab researcher Mariëlle Wijermars will give a lecture at Higher School of Economics (Moscow), faculty of Communication, Media and Design on 28 September. During her talk she will explore how the Russian central government employs cultural memory to claim political legitimacy and discredit political opposition. Also Wijermars will present her new book “Memory Politics in Contemporary Russia: Television, Cinema and the State”. This entry was posted in Yleinen on 26.9.2018 by Olga Dovbysh. 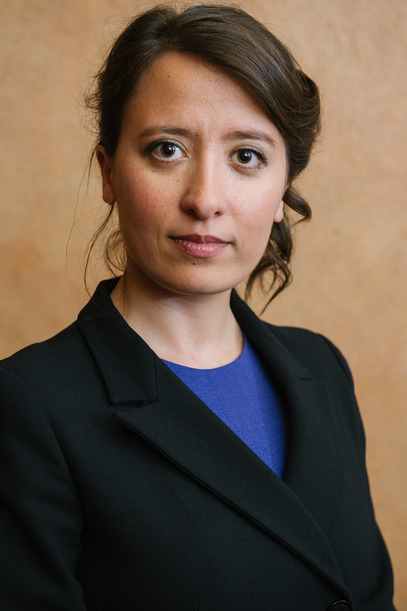 Elizaveta Gaufman is a Postdoctoral Fellow at the Institute for Intercultural and International Studies at the University of Bremen. Her research focuses on the exploration of verbal and visual enemy images through big data analysis. Dr. Gaufman’s research combines International relations theory with media and cultural studies. Russian Media Lab asked Dr. Gaufman a couple of questions as she was visiting Aleksanteri Institute for the workshop on Digital Humanities. Could you tell a bit about your latest project relating to Russian media? Right now I’m working on a project that is tentatively called “Everyday Foreign Policy”. In the project, I am trying to track how foreign policies are refracted by social network users. They are not just repeating blindly what the government says, but modifying and subverting the narratives they hear. This entry was posted in Yleinen on 24.9.2018 by Janne J Suutarinen. 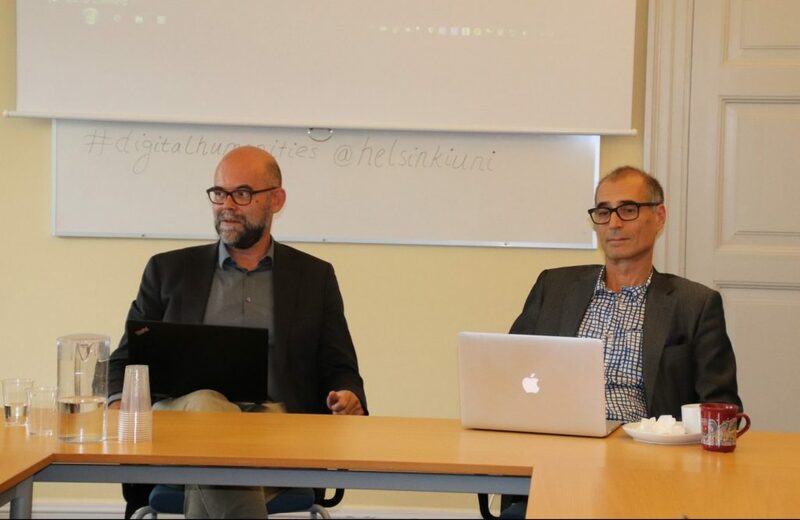 This week Aleksanteri Institute hosted a workshop (Politics of) Digital Humanities in Eastern European Studies, which brought together an interdisciplinary group of scholars to present their research and to discuss about the future of the ever-digitalizing world of humanities. The presentations dealt with for example challenges and possibilities of digital archives, computational linguistics, memory politics in a digital age, as well as Twitter activity of Kremlin trolls. Markku Kangaspuro, Aleksanteri Institute’s director and the host of the event, believes that the progress in the field of digital humanities opens up new possibilities in the research or Russian media as well. For instance Integrum, the vast archive of Russian, Ukrainian and other former Soviet countries’ media sources, has proven to be essential. What are the potentials of digital humanities in the research of Russian media? “The potential is great. Besides Integrum, where we have almost the whole Russian media starting from about mid-90’s digitalized in one data base, the media in general is moving to the internet as we speak. This opens up a huge bulk of sources, and in the case we can get these sources for the use of research, we really need new research methods and tools also. This entry was posted in Yleinen on 14.9.2018 by Janne J Suutarinen. 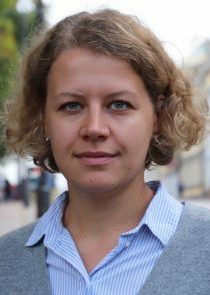 From 1 September Olga Dovbysh has joined the Russian Media Lab team as a postdoctoral researcher. She will join the current project on Russian media and freedom of expression. Can you tell a bit about yourself and your research? I am from Russia, where I have been working since 2013 at Higher School of Economics in Moscow. Earlier, I graduated from the master’s program “Media management” from The Royal Institute of Technology in Stockholm. In Moscow I’ve been lecturing and running seminars in both English and Russian languages in media studies. In 2018 I defended my dissertation in sociology. It was an interdisciplinary research lying at the intersection of economic sociology and media studies. I studied how the structure of Russian regional media market changed after the transformation of links between state authorities and media outlets. Firstly, I explored the processes that led to this transformation. Among them are (1) changes in national media policy aimed at further commercialization of media outlets (it was implemented by the repeal of three laws that regulated economic support of regional mass media); (2) poor development and high disproportion of regional advertising market; (3) desire of regional authorities to control regional media landscape without participation in media capital. This entry was posted in Yleinen on 13.9.2018 by Olga Dovbysh.